No, not THAT season, Butterfly season! In Florida, late summer and into fall is the best time to catch sight of your favorite flying kaleidoscopes! There are many things I don't like about living in Florida, mainly the heat. However, nature is amazing and abundantly present in the whole state. 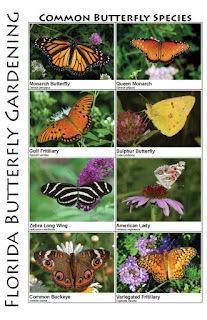 We have the highest diversity of butterflies out of all the states east of the Mississippi River. To date, there have been over 180 different species recorded. The average lifespan of butterflies is around one month, though the actual lifespan varies depending on size and environmental factors. Generally speaking, smaller butterflies don't live as long as the larger ones. 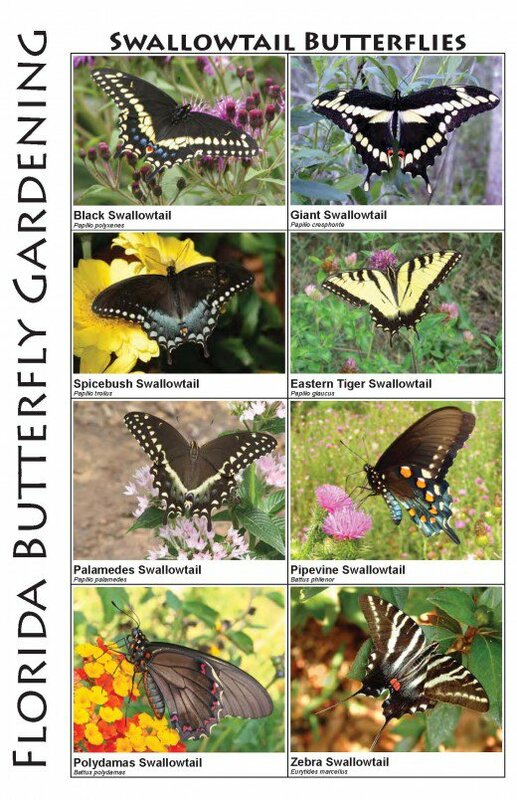 One of the reasons that Florida has so many butterflies is that they are cold blooded creatures. They thrive in warmer climates. Some butterflies actually live much longer than one month because of their cold blooded natures, they hibernate in winter if they do not migrate. So the question that everyone is asking....if this is an herbal blog, why discuss butterflies? These amazingly colorful insects are great pollinators, and without pollinators we wouldn't have the diversity of herbs that we enjoy today. Butterflies are day-time pollinators who collect pollen on their legs and body. Because they perch on the petals, as opposed to bees who get all up in that flower, they do not collect as much pollen, but they do fly further than bees and carry that pollen over a larger area. 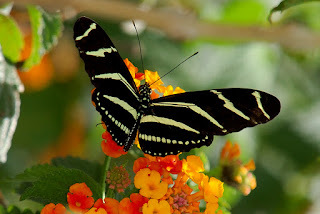 Florida's state butterfly, the Zebra Longwing, lives much longer than the average butterfly. They live around 6 months and are one of the better pollinating butterflies, it's believed that they live so long because they have the ability to break pollen into amino acids which they then digest. All pollinators are seeing a decline in numbers. Bees are by far the most endangered, but butterflies are in danger as well. Pollinators are attracted to just about every flower out there. Butterflies especially are attracted to all Salvias (Salvia spp. ), Firebush (Hamelia patens), Milkweed (Asclepias spp. ), and Hollyhock (Alcea spp.) 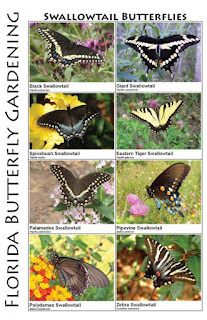 are all great plants to grow for butterflies. Also remember, in order to create a really amazing space for these little insects, they need food, water, and shelter. The plants I listed will provide food and shelter, even a place for them to lay their eggs (Milkweed), but you need to have some kind of water feature, even if it is just a small dish that catches rain water. So please grow some beautiful flowers for the pollinators and provide water for their needs. Then you can truly enjoy Florida's butterfly season!